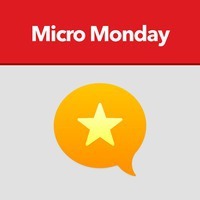 @macgenie: Hey it’s Micro Monday again, the weekly microcast where we get to know members of the Micro.blog community. I’m Jean MacDonald, the community manager here at Micro.blog, and today I get to talk to Sameer Vasta who is @vasta on Micro.blog. Hey Sameer, how are you doing? @vasta: Doing alright. It’s great to be with you here, Jean. @macgenie: I’m really glad that you could make it. I know that you have your fans in our Micro.blog community and you’ve been around for a while. I know people will be interested in hearing what you have to say, starting with: why don’t you tell the listeners a little bit about yourself? @vasta: I think my standard blurb is that I am Sameer Vasta. I live in London, Ontario, up here in Canada and I am a an avid letter writer, an avid pedestrian, and an avid reader. “Avid” seems to be repeated quite often there. But yeah, that encapsulates a lot of what I do. I love connecting with people, mostly through posts but also all over the internet. I love reading and that includes books, novels, articles, whatever it is, including micro posts. I love exploring the world on foot, and sometimes those explorations lead to finding new places. By day, of course, I work at the Ontario Digital Service which is a part of the Government of Ontario here. I work in employee experience which has a strong focus on diversity, inclusion, and equity, as well as growth, learning, and development. @macgenie: Wow, that’s incredible. I am interested in how you got involved in that line of work. @vasta: It kind of fell into place. It was not something that I had ever actually sought out to do. I have a training in anthropology, mostly in governance of large organizations, so I’ve been working in public sector organizations for a while. One of the things you learn when you’re working in governance is that you can do all the modeling you want, you can set up organizations to have good governance all you want, but in the end, it really comes down to the people. The people are the ones who are actually going to create the culture and create the accountabilities, create an organization that you want to be a part of. @vasta: If we just focus on the governance, we’re never actually going to achieve that organization that we aspire to. So we really need to focus on the people, so I started to pivot about three to five years ago from focusing on governance to focusing on the people who are actually acting out this governance. And it’s been a slow slow burn. I have no background in H.R. or psychology or anything like that. But you’ll learn a lot when you listen to people, and it’s a lot of listening to people, supporting their projects, supporting their ideas, and then taking them and applying them to other contexts. @macgenie: Wow, that just sounds so interesting and it sounds like a good fit for you, with your many avid interests, to get involved with organizations on the micro level, i.e. the people themselves. @macgenie: And that’s my awesome segue to talk about Micro.blog. So if you’re scoring my professional podcast points at home, that’s a point for me. @macgenie: Tell me about when, if you remember it, how you first heard about Micro.blog and what made you want to participate. @vasta: I’ve been thinking about this question a lot because a lot of times we find ourselves in places and we don’t quite remember why. And what I’ve been trying to do recently has been to be more intentional with everything I do in my life. And so I’ve been thinking about what was the intention that I came into Micro.blog with. And I think it goes back to the demise of Google Reader. Google Reader was something that I used all the time. It was a place not just for making sure I was staying on top of my feeds but it was a great place for building a community of people who could share things that would challenge me, that would interest me, that would delight to me, and then me to share back to them. @vasta: And then I read a little bit more and then I started to read a bit about Manton and the work that he’s doing, and and his ideas and his passions, and I said, “No, this is not Twitter. This is what Google Reader should have been from the start.” It’s a way to follow people who have similar interest, but also challenging interests, and to engage with them in a place where you can see what they are writing, what they’re sharing, what they’re liking, but also to give back to them, to share your ideas and share your thoughts, and engage in a very strong conversation around those ideas. That’s what attracts me to it. So obviously it was an immediate yes to the Kickstarter campaign without even thinking, and I’ve been around since then. @vasta: You do make it easy and and so I will push back on that! I find people to follow the same way that I find places to just explore when I’m walking around the city on foot. It is finding a thread that takes you somewhere that you hadn’t thought of before. So I keep replies set to Everyone so my stream is full of people’s replies and I will click through once or twice a day on every single conversation in my stream. And what that allows me to do is not just see what people are talking about, see what people are engaging in, but see who those people are, and that allows me to explore a little bit more about them. So then you get caught down that rabbit hole of saying, “Oh, who is this person?” and reading every single thing they’ve ever written and then an hour’s gone by. @vasta: And so it’s less about following people, it’s really about following these ideas and the threads of the ideas, and then finding people through that serendipitous that you find when you’re following those conversations. @macgenie: I’m going to capture that and turn it into a marketing blurb for Micro.blog. I also have replies for everyone turned on. I can understand why some people want that not to be an option. And for those who aren’t familiar with the setup of Micro.blog, by default, in the beginning you would see replies to people that you didn’t follow. So it was a little bit like being dropped into a conversation that you weren’t initially a part of, but it did alert to conversations. However, if you had a lot of people who did a lot of replies in your timeline, you might start feeling like you weren’t getting to follow the actual people you were following. @macgenie: And so we did add the option, which is on the web under your account, to switch that to only see replies to people I am following. And I did not turn that on because as a community manager I’m interested — more than interested — I think it’s my responsibility to follow as many conversations as I can without making myself insane. What you just described is the reason that Manton set it that way to begin with, we would make it possible to surface conversations that might interest you. And you are the poster child! @vasta: And then it comes down to the idea that some people are completionist and some people are happy to dip their toe in stream. But I’ve never been a completionist and never needed to see what everyone is saying. So what’s really useful for me is having all of those conversations going. I don’t feel like I need to keep scrolling down, keep scrolling down until the last thing. I can dive in, spend a few minutes looking at what conversations are happening and then dive back out. Other people may not be that way and so I can understand how it would feel overwhelming for them, but it really depends on your character and your personality as well. @macgenie: That’s true and you know, we are human beings, and character and personality tend to vary greatly, and we want to, to the extent that it’s possible, make it a platform that works for a variety of preferences and goals, completionist goals if necessary. I am also not a completionist, except on Micro.blog. @macgenie: Tell me about what your experiences have been like, because I know you’ve taken some breaks from the platform and I think it’s an interesting example of how something can work well and then not work well, depending on the person and depending on what their experience is like. @vasta: Definitely. I would say overall the experience has been lovely. The people are supportive. You’ve done an incredible job of mobilizing a community who want to engage in ideas and want to acknowledge that others have good ideas. That’s all credit to you and Manton for creating not just norms but also designing a service and designing a community, which is an active intentional thing to do, that supports and fosters each other. Now that being said, no community is perfect, and as part of my work but also as part of my lived experience as someone who is a person of color who is an identified Muslim and who has dealt with this idea of marginalization and exclusion his whole life and now works with others who feel marginalized, excluded, and dismissed, and thinks about how we can build inclusive spaces. @vasta: A lot of what happens when people who don’t engage in these kinds of ideas regularly, and seem to step beyond, it hits me viscerally. And so there are moments where people incur violence through language. I know this is a very strong thing to say but it’s definitely something that I’ve been doing a lot of research on, it’s the weaponization of language and it is very important to think about. If you tell someone who’s spent their entire life being excluded that their thoughts don’t belong; if you tell someone who’s spent their entire life being dismissed and say, “I dismiss you or your idea”; if you tell someone whose entire life has been in the margins, feeling like they never belong, if you say your thoughts don’t belong here: that is not just something that can be tossed off as “Oh, he was trolling” or “He said something insensitive.” That is trauma. @vasta: These are these micro traumas that people who are in the margins feel every single day. Now I have an inherent sense of privilege; I am a man; I have a certain socioeconomic demographic. There are certain privileges that I have and because of those privileges or because also of my lived experience, because I lived through a childhood of always being told, “Oh, don’t worry that person didn’t mean it,” or “Don’t worry, that person doesn’t know what they’re talking about.” I have these traumas built in, which I can then counteract with my privilege in order to make sure that I’m calling out when that trauma’s being incurred, and to protect myself when I feel that I am now being subjected to these traumas and subject to this weaponization of language. @vasta: So this is where sometimes I need to take a break. And in Micro.blog, taking a break is different than other tools where there is a block function, right? In other tools — not that I am on many social networks — I am a liberal blocker. This is not about creating an echo chamber, it is about creating safety. It is about creating safety. Because if you feel violence and trauma through language — and a lot of people who don’t regularly feel that, well that’s a really hard concept for them to understand. But language can be weaponized to create violence. If you feel violence through language, you need to liberally remove that violence from your life. Similarly, if someone is constantly coming and beating you up after school, you are going to do what you can to stay away from that person, right? @vasta: I think that with the block button, people say you’re using it as an echo chamber, but the block button really is about making sure that you are safe and you feel safety in the things that you do. So I’m a liberal blocker, and since that doesn’t quite exist in Micro.blog, my only way to deal with that right now is to step away from the community, allow myself to recover from that violence, allow myself to recover from that trauma, and then come back when I can to make sure that weaponization of language doesn’t happen to others. @macgenie: That’s some really good food for thought for the rest of us. I definitely have the inclination sometimes to think “Just ignore that person.” But, as you say, it’s a micro trauma and there’s certain little traumas you know that I have definitely experienced as a woman and you know, you honestly forget about them. And then one day they all come rushing in. @macgenie: And I think, “Oh my God, why didn’t I say anything about that? Why did I just sit there, for example, and participate in this organization that intentionally, in its bylaws, excluded women from being officers?” I do get it, but also with my own privilege as a white person, I don’t get my ideas dismissed as often. I try to pay much better attention than I used to, to the kinds of behaviors online that people of color are subjected to all the time. @macgenie: So I’d be curious what you think about this idea. I feel that, of course, we have community guidelines and those are kind of hard rules about the kinds of behaviors and language that won’t be tolerated, period. But then there’s the whole messier universe of behaviors that are not great but hard to regulate because everybody is a little different on how they react to certain things. But I would like to hold people to a standard that you consider if that person were in the room with you, how would you talk to them? And I don’t know, I mean that won’t fix everything, and the people who are insensitive are insensitive in person too. @vasta: They might not be insensitive, they just might not have an experience to understand the power of their words. And this is what I keep coming down to: there’s an intentionality, and a lot of people may not have that intention, but it’s not the intention that matters it’s the impact. So I think the first thing, you can’t really police this of course, but if we can encourage people to engage with the idea, refute the idea, contend and debate with the idea, but do not refute or dismiss the person. @vasta: And that’s a really good starting base because it acknowledges that each and every single one of us is a human, is a person, and has a right to exist in a space. An idea can be refuted, an idea can be debated, an idea can be taken out of a space. But as a human, to tell someone who is always being told, “You do not have a right to exist in this space,” to continue to tell them as a person and engage with them as a person and say, “You do not belong” — that’s where it gets tricky. Of course, that’s something you can’t police through community guidelines. This is something that has to be embedded into the norms of community. This is something that people need to call out, and a lot of times it ends up being the onus of the marginalized to call out that the fact that they’re being marginalized. @vasta: So how do you build a community where when this happens, people are able to speak out and say, “Hey, that wasn’t cool. Hey, you know what you might not agree with this person, but dismissing them rather than dismissing their idea is not the way to engage.” And we will get there. The work that you and Manson have done to intentionally create an atmosphere where that can happen is great. We also have to remember that not every community will be right for every single person. And it’s okay. Micro.blog might not be for me and it might be. Might not be for someone else and it might. We don’t need to have a space in every community, but we need to make sure that we are not being dismissed in the communities where we do exist. @macgenie: Very good. Thanks for that. Because that helps me clarify my thinking on it. And as you say, intentions are not the issue. It’s the impact. We could go on on this subject. Maybe we need to have a macrocast where we just talk about diversity and inclusion and yep, I have a lot of thoughts and a lot of feelings on this. @vasta: This is why it’s a tricky thing to talk about because it is not objective. It is inherently subjective. It is inherently tied to the experiences the person has had before. And you can never know that. So all you can do is to approach each individual as a human, as a caring, feeling, sentimental human, and to understand that our impact on them will have an impact on their sentiment and their feeling. Whatever we can do to make sure that we are not making them feel like they do not belong, that is the best thing we can do. @macgenie: I just want to end it right there because that is the best thing we can do. And, you know, not just on Micro.blog but everywhere where we can make an impact and be a human to other humans. That can be a t-shirt. Well, before we wrap up, is there anything you’d like to add about anything? @vasta: Not really. I just want to say thank you. This has been an experiment, of course. But it has also been a reminder of what the Web was built on and why I was so intrigued and so enthralled by the World Wide Web. When I was a young child and it was brought in to my house, I said, “This — there is power in this, and the power is connecting people.” So thank you to you, to Manton, and to everyone who has tried bringing back that sense of optimism, and that sense of enthrallment and delight of the sense of connecting people through the World Wide Web that’s been missing for a while. So thank you for doing that. @macgenie: Well, thank you for being here. And listeners, if you want to follow Sameer on Micro.blog, there will be a link in the show notes or you can go to micro.blog/vasta. And we thank you for listening and we’ll talk to you next week.